With over 30 years’ experience, Heating Centre covers all aspects of gas and heating work, including gas installations, boilers, solid fuel, servicing, spares and repairs. We offer a quality service with the highest possible standards, from your initial visit to the completion of your installation. At our Lincoln showroom view our range of woodburners and stoves, fireplaces, gas and electric fires or speak to one of our expert members of staff to help you find the perfecting heating solution for your home. Our Lincoln showroom is proud to have in store exclusive range of Laura Ashely fireplaces. 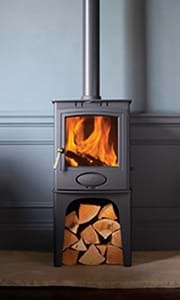 Not only do we stock an extensive range of fireplaces, stoves and fires, but we supply a full selection of accessories too. Visit us today to see our full product range and discuss the services we offer.